The settlement of Pukehiki is situated atop the Otago Peninsula, near Dunedin, New Zealand. Its main features are the Church, the Hall, and the Library. Pukehiki is at the intersection of Highcliff Road (the "High Road" from Dunedin to Portobello) and Camp Road (which joins Castlewood Road down to the harbour). Harbour Cone / Hereweka (very much a focal point of the Peninsula) lies 3 km north east from Pukehiki. Also nearby is Larnach Castle, 1.2km north along Camp Road. The settlement of Pukehiki is steeped in history. Click here for an account of the district's history. A University of Otago study has been looking at the value of biodiversity on the Otago Peninsula. 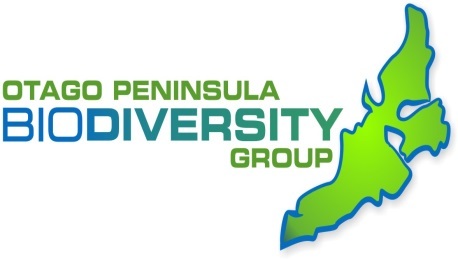 As part of this, a survey has been developed to find out how valuable Dunedin residents believe the Peninsula’s biodiversity is. It’s an unusual survey – about the choices and trade-offs you would hypothetically make. You will be asked about 30 questions about which choice you prefer. There may be some where you like both choices and some where you like neither. When that happens, pick [‘These are equal’]. The Otago Peninsula Biodiversity Group are constantly working at reducing the possum population on the Peninsula. Allow OPBG onto your property to check for possum presence. Run a trap on your property with OPBG help. Become one of OPBG urban coordinators to oversee trap use in your local streets. Possum sign in your garden (calls, poos and fur). Notices advising of our public meetings and trapping workshops. Autumn is a time for mating in possums, leading to a lot of movement as males seek out females. It is also the time for maturity in fruit and nut trees, a sought-after and targeted food source for any possum. So, set your traps under or near these trees, until the produce has fallen. The next seasonal resource to focus on for trapping is winter shelter, especially old macrocarpa trees, gorse, and sheds/garages. Dunedin is getting new street-lighting in 2016 which are proposed as per the LED lights in Vogel street (see www.dunedin.govt.nz/services/roads-and-footpaths/street-lights-trial). The Dunedin Dark Skies Group are concerned that that these lights are unsuitable for suburban areas because white light has been shown to have adverse health and environmental effects. The group suggests the LED lights under consideration are nearly three times more light-polluting than the present high pressure sodium lights. Click here for a document on Light Pollution Awareness prepared by Dunedin Dark Skies Group. See the Pukehiki Community Forum to see or add comments on this topic. STOP (Save The Otago Peninsula Inc Soc) won an award for the work done on the Broad Bay slip, especially the work done by John Langley over the last few years. A copy of the application letter (including photos) is available here. Paul Pope (Otago Peninsula Community Board) has posted more on his website about the involvement of Otago Peninsula folk keeping Dunedin beautiful. Pukehiki now has a Recycling Center - it is located at the old quarry site near Bloem's farm (600m east of Centre Road). The community is grateful to Pieter Bloem for providing the land to site the center. The depot is open every second Saturday morning, and takes household plastics, tin cans, paper, cardboard, and glass bottles & jars. The Pukehiki Community supports this venture and is grateful to the Dunedin City Council for providing this service. Otago Heritage Bus Society has formed a partnership with the Pukehiki Community, and offers exclusive bus charter rates for social functions held at Pukehiki Church or Hall. This is of value to those holding weddings, receptions, birthday parties, etc at Pukehiki. Peter Collingwood is in charge of Delta's contract on the Peninsula to cut back trees from powerlines. If you have any trees under the major powerlines (these are only on one side of each street) you can also get them cut back for free (you have to sign for this). The domain name, hosting, development and maintenance of this website is donated by Tomari Technology.